I can quit acquiring and accumulating knives whenever I want. Really. But show me a historic design, made with modern materials, and I teeter on the edge of getting yet another knife I don’t need. The Bark River V-44 did that to me recently. Here’s what I found out about this classic Bowie knife. 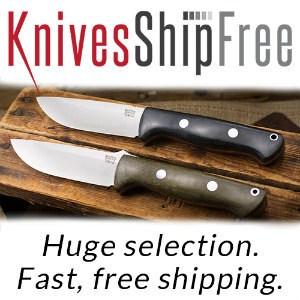 Knivesshipfree.com is a Survivalcommonsense. com sponsor. I did not get a free knife for this review, and I was not paid to write it. 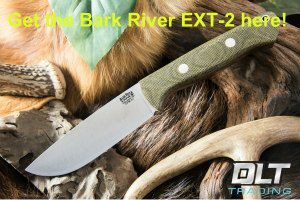 All I promise is a fair shake, and neither KSF nor Bark River Knives had any input in this post. 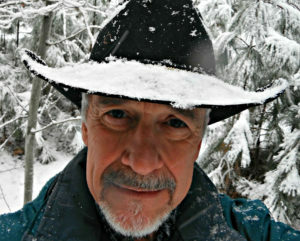 I met Don York in the early 1970s, when I was working summers as an Iowa State University residence hall janitor. Don was the elevator mechanic. Most of the men were WWII or Korean War veterans, and they sometimes might talk about their service when we all ate lunch together. For a history nerd like me, these conversations could be the high point of the day. A big, burly guy, Don was still tough as nails, and during World War II, had been a Marine Raider. He took part in the 1942 Maiken Raid, the first American special ops/commando operation at Guadalcanal. These veterans, like my dad, and their stories, had a tremendous impact on me. Don might have carried a Bowie that looks very much like the v-44. 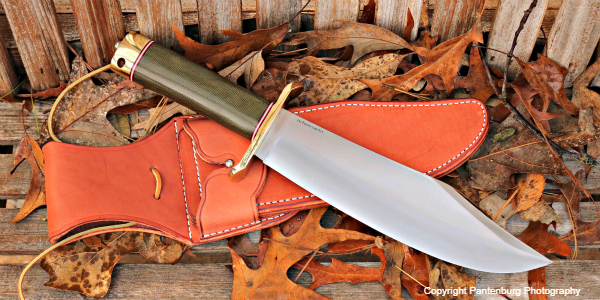 The new Bark River V-44 Bowie has one of the most famous patterns of World War II. The knife was made specifically for the Pacific theater of operations and is the quintessential pattern most people identify with when they refer to a Bowie knife. A Marine Raider would have appreciated this Bowie! Classic design: One reason I love classic knives is that their designs are time-tested and proven. 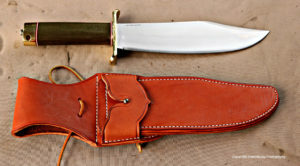 The Bowie started out as a fighting knife, as a backup for single shot firearms that might not fire. Once the shot was fired, there might not be time to reload. Over the years, the design has evolved, but it still features a big blade, generous handle, and a single or double quillon. I frequently hunt with blackpowder firearms, and it is usually illegal to carry a modern weapon as a backup. I can justify carrying a Bowie as part of my primitive weapons ensemble. As an EDC knife, the presence of the Bowie may be enough to thwart an attack. 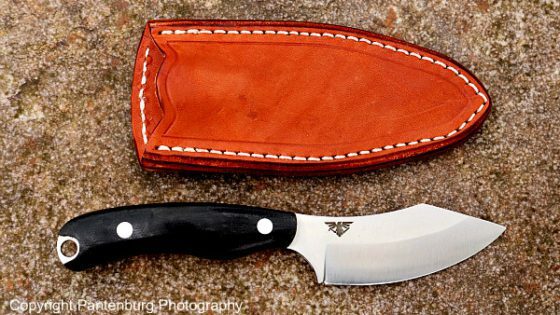 I personally wouldn’t carry a knife like this on a backcountry elk hunt, but a very successful hunting buddy of mine does. Phil Walker carries a Bowie and an eight-inch butcher knife, and he used those tools to field dress, gut, quarter and pack out a 6×6 bull elk by himself one year. Phil prefers big hunting knives, and you can’t argue with his success rate. The handle is balanced with the blade length. There is plenty of belly to the blade, along with a straight section for slicing. The blade is big and sturdy enough to be a great choice for splitting a ribcage or breaking down a carcass. Phil proved a Bowie can be a skinner. Handle: The original Marine Bowie had a differently-shaped handle that could be a little cramped for big fingers. The V-44 handle shape has been updated, and a classic pommel has been added. My large hand has plenty of room, and this is a knife that could be used in cold weather with gloves on. Sturdy construction: Typical bulletproof Bark River construction here – workmanship is impeccable. I got the green micarta handle. Micarta is my first choice for a knife that will be worked hard, and the color is a nod to my Irish heritage. Point: The clop point and swedge are my favorite knife combination. Some of the originals would have the swedge sharpened also. Technically, that would make the V-44 a dagger, or illegal in some areas. Know your local knife laws. Grind: All Bark Rivers have a convex grind, which is another favorite of mine. The grind goes up about halfway on the blade, and resharpening should be easy. Great steel: A2 is wonderful steel. 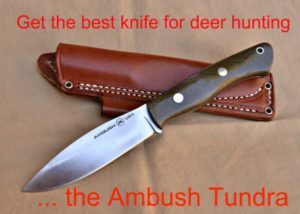 I’ve used it extensively in hunting and bushcraft knives, and it has always performed magnificently. 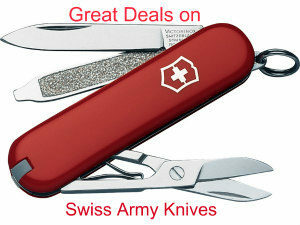 It holds an edge extremely well and is easy to resharpen. It will accumulate patina through use, which adds to the appearance, IMHO. No choil: I think choils are unnecessary, and believe they are a recent fad. 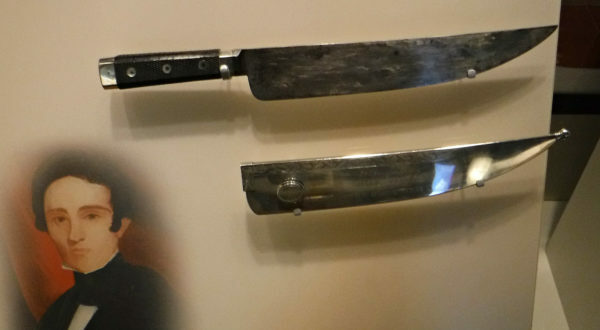 I’ve never seen a pre-20th century knife with a choil in any museum. A choil eliminates one of the most useful and most-used areas of the blade, and negates the safety the handle and quillon are designed to provide. (I’m supposed to put my trigger finger, centimeters from a razor-sharp edge, and use the knife? No thanks.) Get a knife suited for the job, and don’t worry about choking up on the blade. Tang: The blade had a full, rat tail tang that extends through the handle. BR could have done a stronger full tang, but this knife already weighs 28 ounces! I don’t anticipate any body breaking this knife. Blade thickness: The V-44 is twice the thickness of the originals from WWII. The originals were designed to serve as a fighting knife, as well as brush cutter. I generally prefer thinner blades, but for a fighting knife that will also be used as a machete, you want a sturdy tool with no breakage potential. 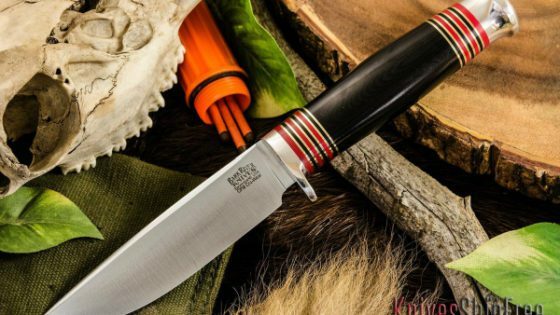 You won’t be using this knife to fillet fish, or do fine wood carving. 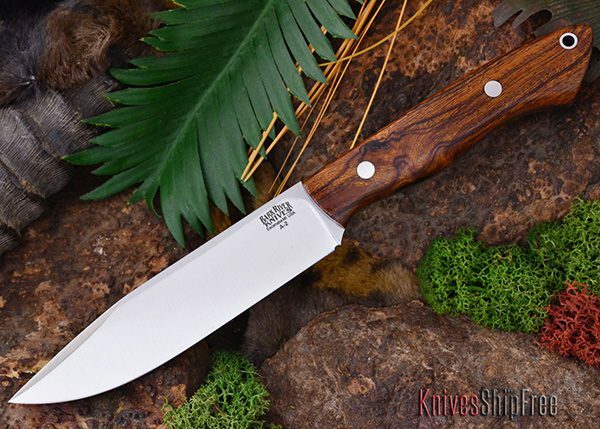 Made in the USA: This knife was made in Escanaba, Michigan by skilled American craftspeople. Every time you buy American-made products, you help assure that somebody keeps his/her job. These folks pay local, state and federal taxes, and contribute the their communities. Warranty: All BR products have a 100 percent satisfaction guarantee. If you have a problem with a BR product, you can call the factory and talk to the people who made the knife. 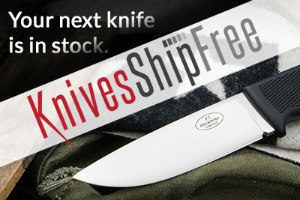 Likewise, if you’re not satisfied with a Knivesshipfree.com product, you can return it within 30 days of purchase for a full refund. Neither of these companies could afford these warranties if they produced or sold shoddy products. Size: This is a big, heavy knife, and to quote the maker: “Not for wimps.” But you know that going in. If a knife is not lightweight and convenient to carry, it may get left behind. A Bowie, IMHO, is not the best choice for a backpacking knife. I wore this Bowie on my nightly dog walks, and the 28 ounce blade made its presence known! Legal aspects: In some areas, the blade length and size could make this knife illegal. 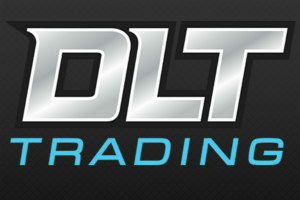 Check it out before investing. Do you need a V-44? The jury is still out on this one. I wouldn’t call a Bowie a practical EDC unless you’re riding a horse every day that can help you pack the weight! But the Bowie has a proven fighter/chopper design, and it should perform well for dispatching wild pigs. For us history nerds who like using the tools of the past, the Bowie is one of those designs that fit right in. A Bowie would fit right in at a Civil War reenactment, historical interpretation or at most deer camps. Which leads to another point: What do you really need in outdoor gear? Aren’t all these knives, guns, bows, boats etc. nothing more than big boy toys? Well, we all need something to invest our disposable income in, and, IMHO, what’s a better investment than a really cool knife?